It is right and just to empower police to take away the proceeds and instruments of a crime. The drug house, the stolen car, the income from a fraudulent scheme — these should be taken from the individuals convicted of committing a crime. But imagine what might happen if police could also take ownership of property from someone without even charging that person with a crime. Now add financial pressure from strained budgets, and you have a recipe for a problem known as “policing for profit.” Fortunately, the Michigan Legislature has committed to protecting innocent property owners’ rights, and our state may soon join the many others that have eliminated this moral hazard. 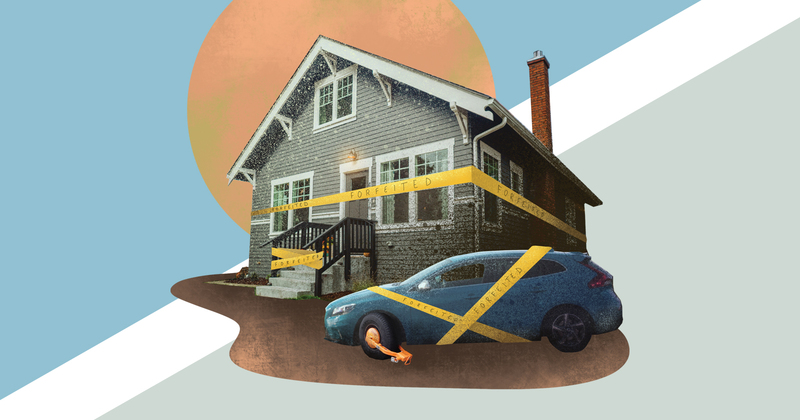 When police believe that some property may have had criminal origins or involvement, they have two options. They can seize it, which means they take temporary custody of the property. Or they can forfeit it, which means that they become its legal owners and are free to dispose of it as they wish. That might mean destroying contraband, depositing cash in department coffers, or selling the item and spending the proceeds on items that weren’t in the budget. It’s crucial to understand the distinction between seizure and forfeiture. Police should always have the ability to seize suspicious items, but the transfer of ownership ought to be delayed until the original owner is actually convicted of a crime involving those items. This point of view has been championed by the Mackinac Center for years, and our ongoing education campaign has borne much good fruit. In 2015, lawmakers raised the standard of evidence that the state is required to show in order to take possession of private property, moving it from “preponderance of the evidence” to “clear and convincing evidence.” Additionally, they mandated reports on how much property law enforcement departments forfeit, where it came from and whether the owner of the forfeited property was charged with a crime. A few months later, the state eliminated the requirement that citizens pay a cash bond in the amount of 10 percent of the property’s value in order to get into court and contest its forfeiture. Now, lawmakers are on the cusp of passing the most important reform of all: requiring a criminal conviction to be secured before a department can forfeit private property. This will implement a policy of criminal asset forfeiture, the legitimate practice of depriving the convicted of ill-gotten gains. And it will eliminate the questionable practice of civil asset forfeiture, or policing for profit, which has allowed law enforcement to proceed without convictions or even charges. Getting here took an ambitious public education campaign, led by the Center’s Jarrett Skorup. It involved writing a study and scores of blog posts, commentaries and features in state, local and national media and hosting Issues & Ideas Forums to discuss the topic in Lansing. The campaign also told stories, through print and video, of innocent individuals harmed by this practice. Michigan is now poised to join more than a dozen other states that have committed to protecting the property rights of innocent people targeted by the police. Passing forfeiture reform will mean a freer, safer and more prosperous Michigan, and we are proud to have been part of the effort to make it possible.